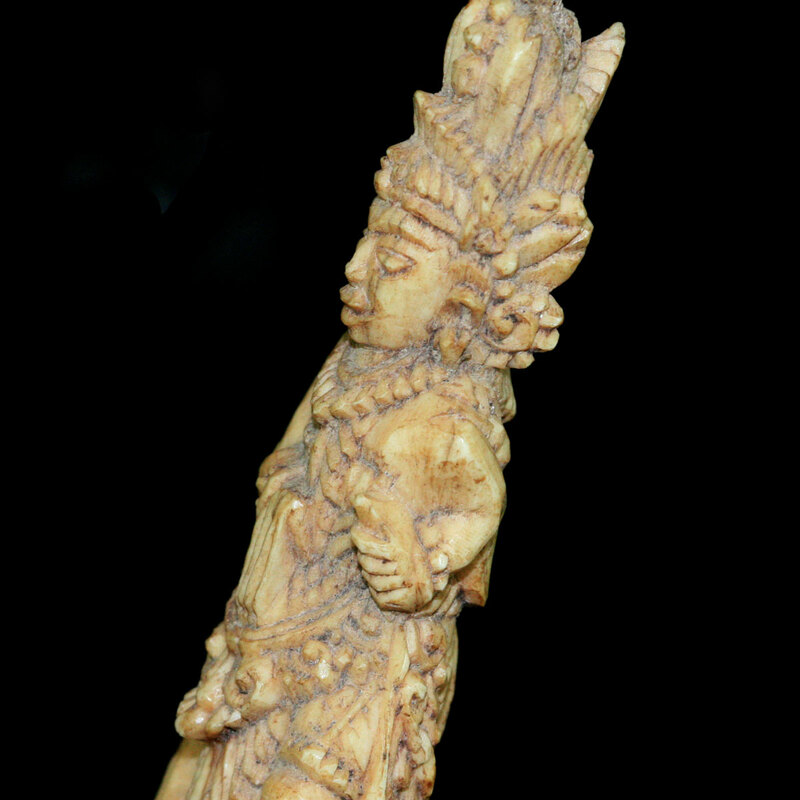 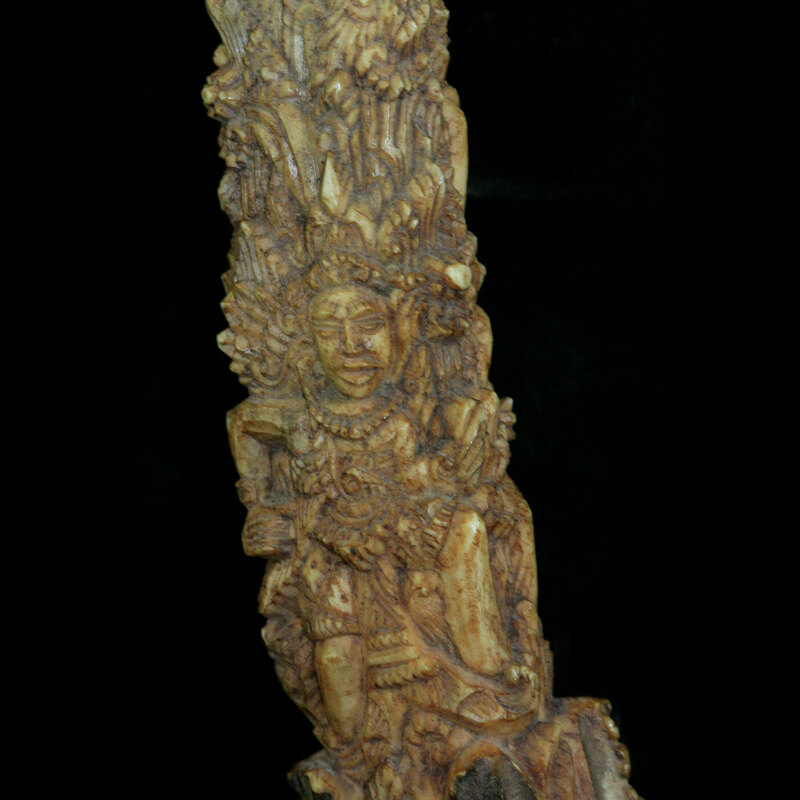 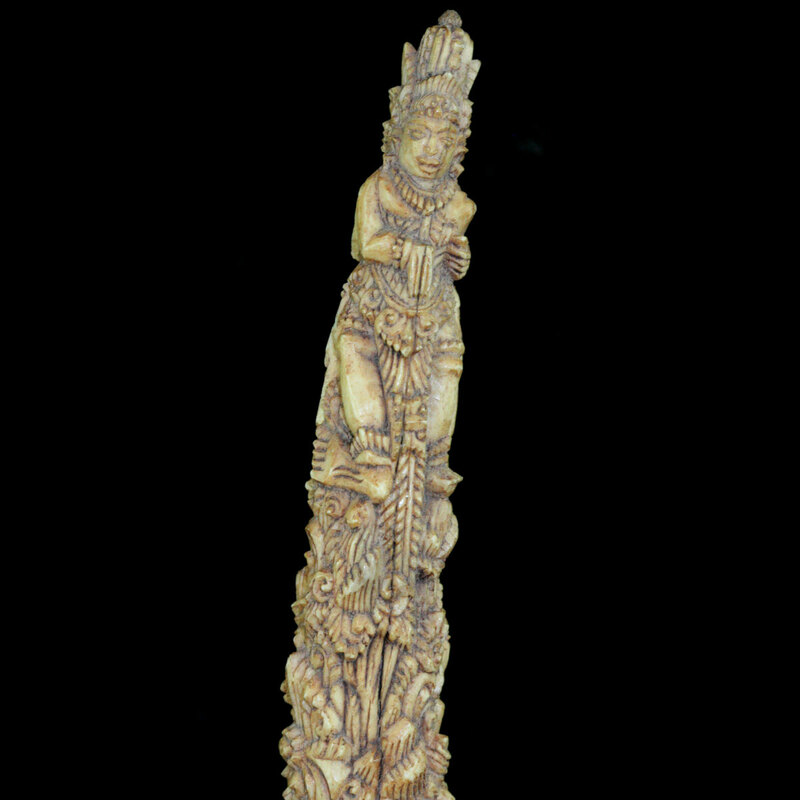 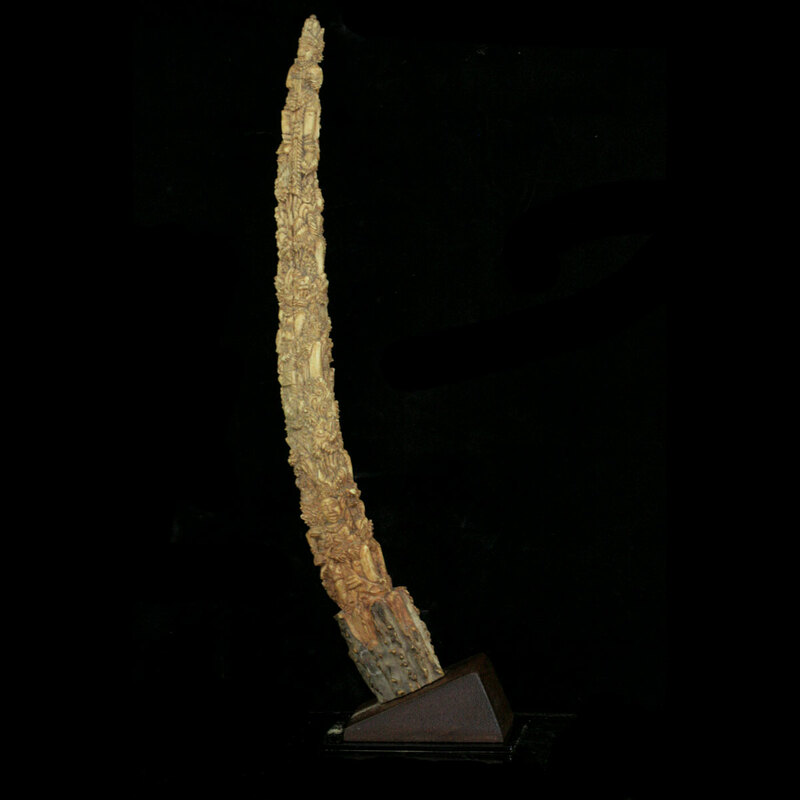 An Indonesian carved samba deer antler depicting a procession of Hindu deities. 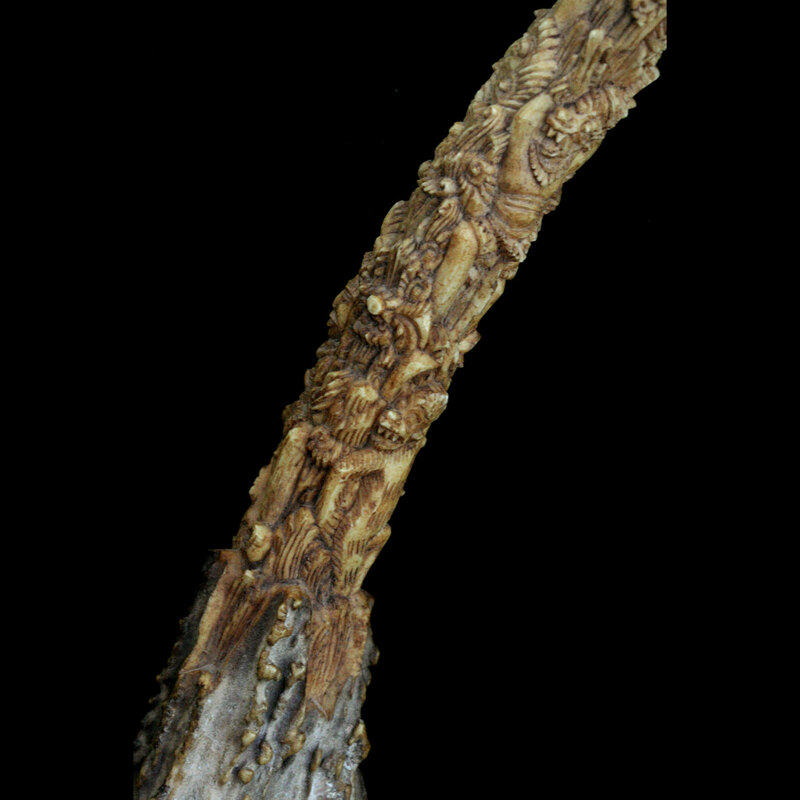 One stable age split on the front surface, in overall good condition. 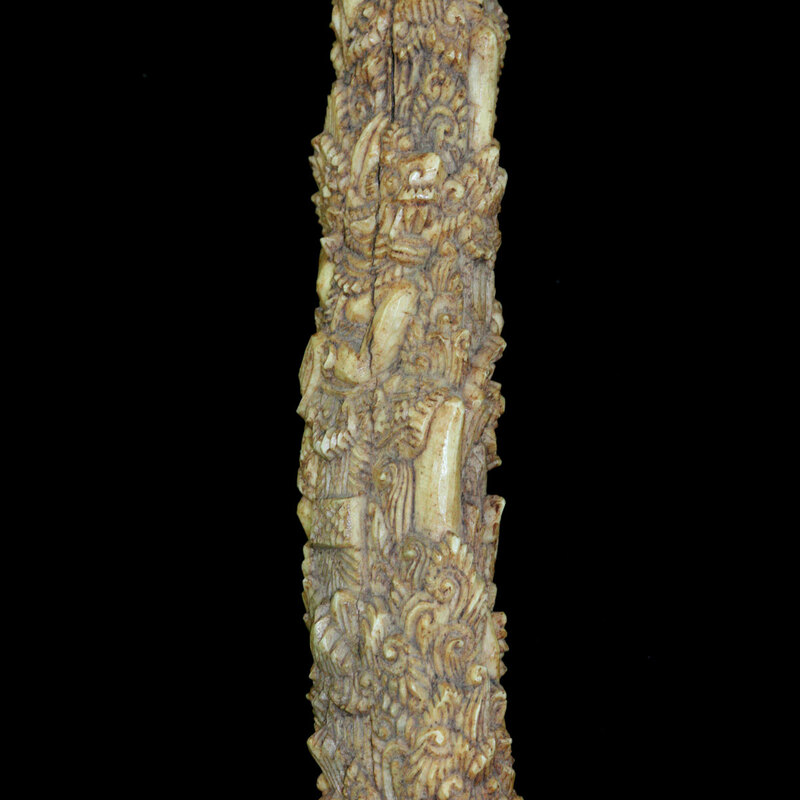 Presented on a wood and perspex display mount.